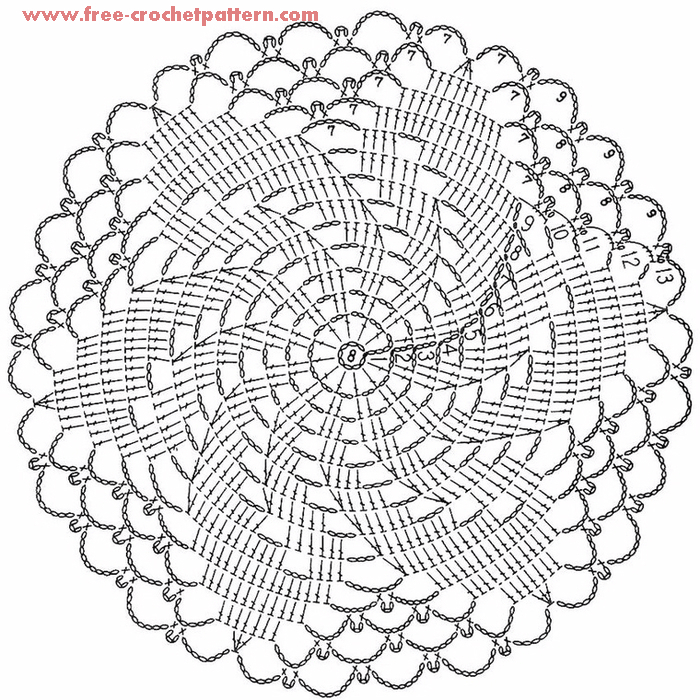 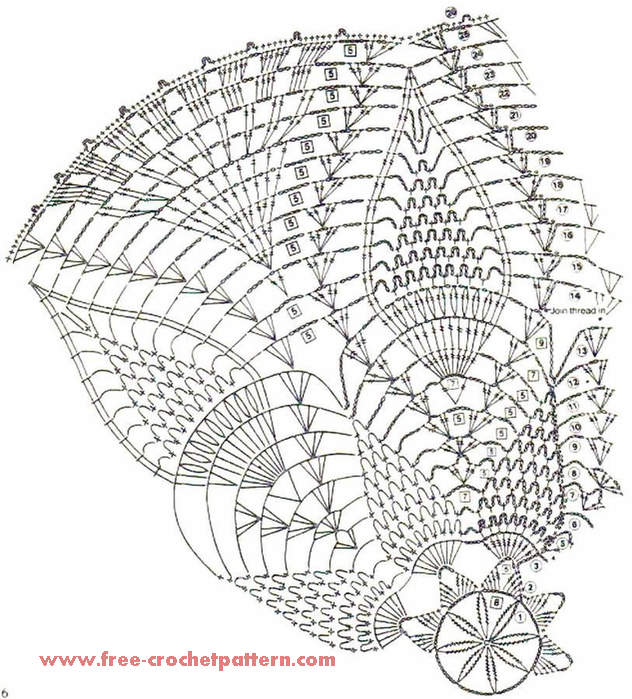 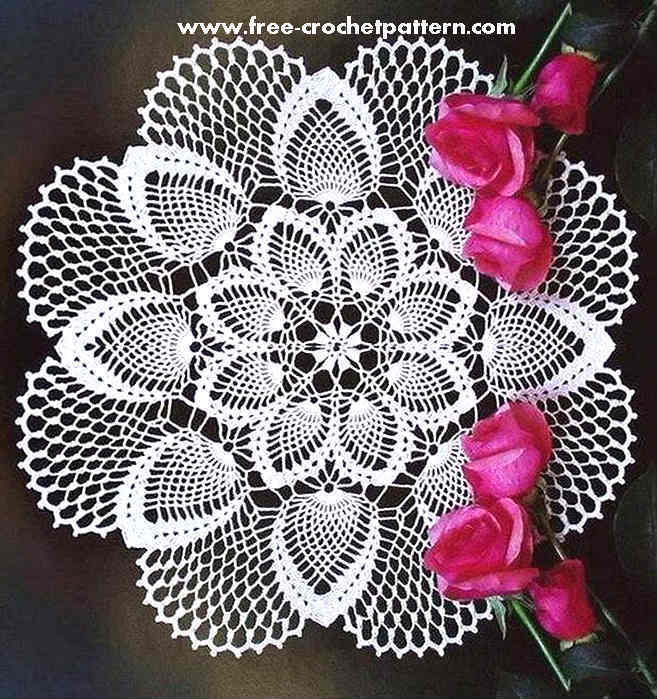 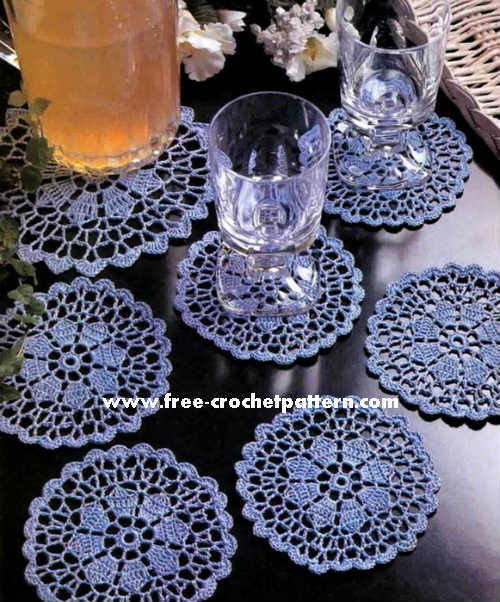 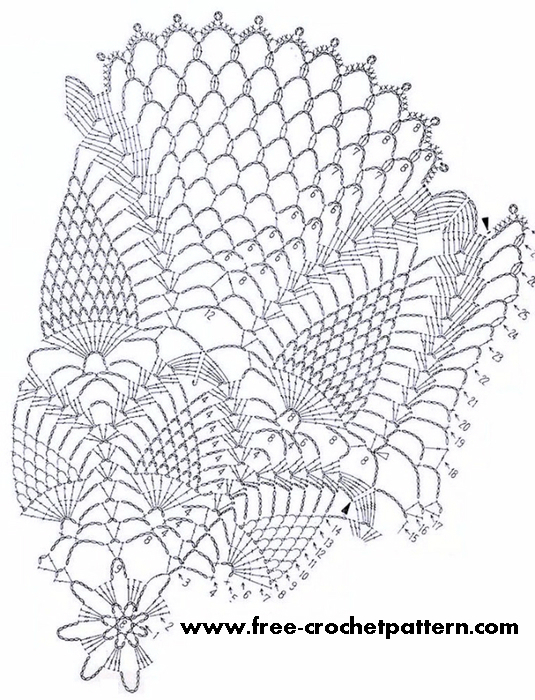 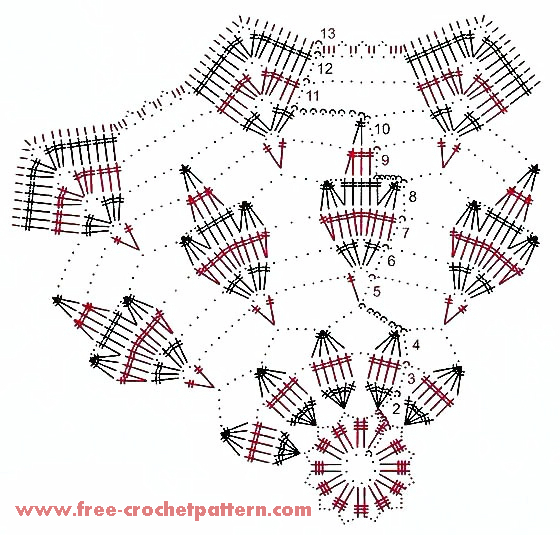 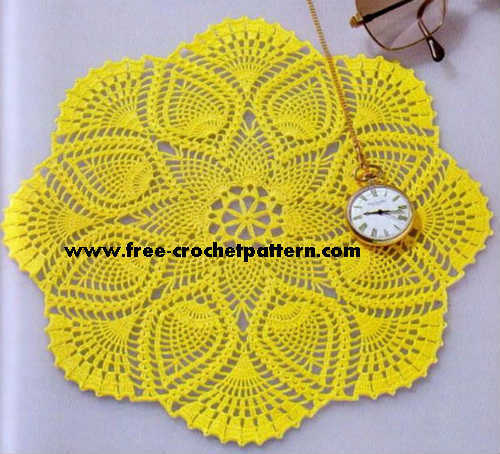 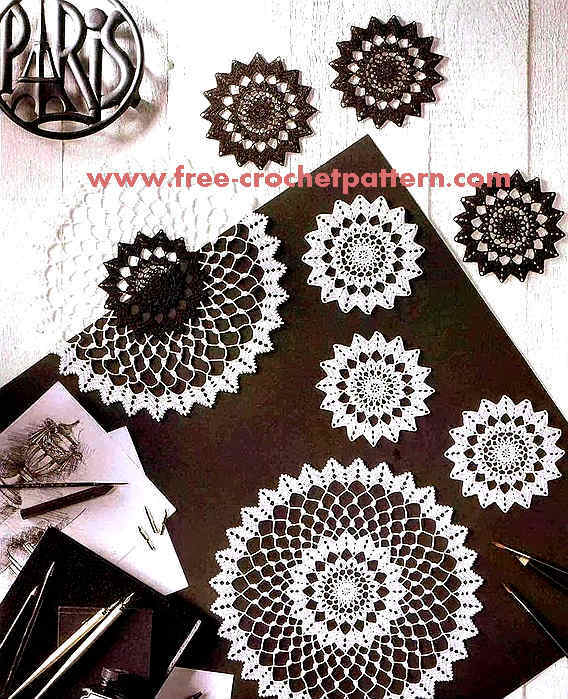 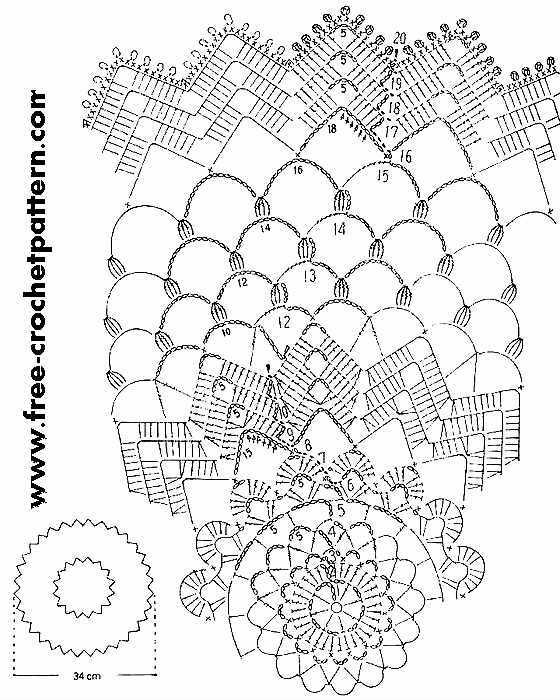 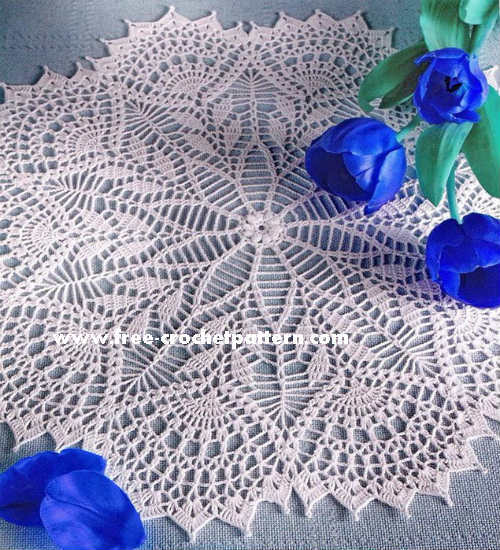 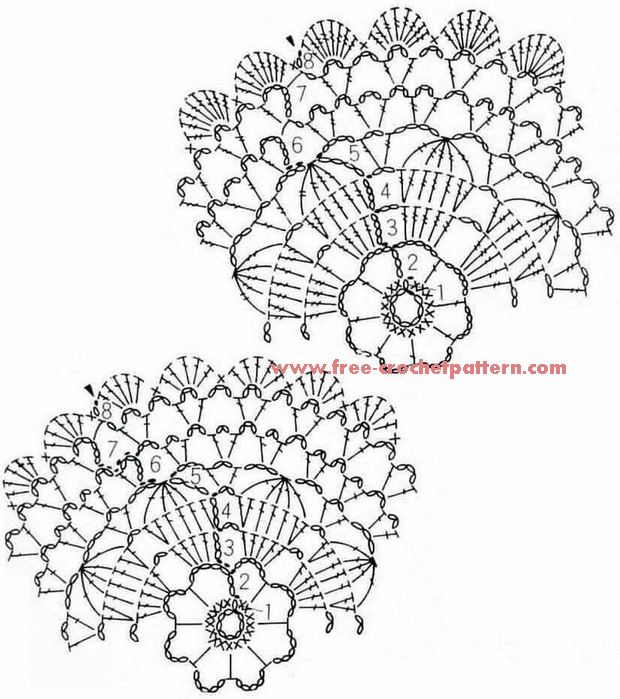 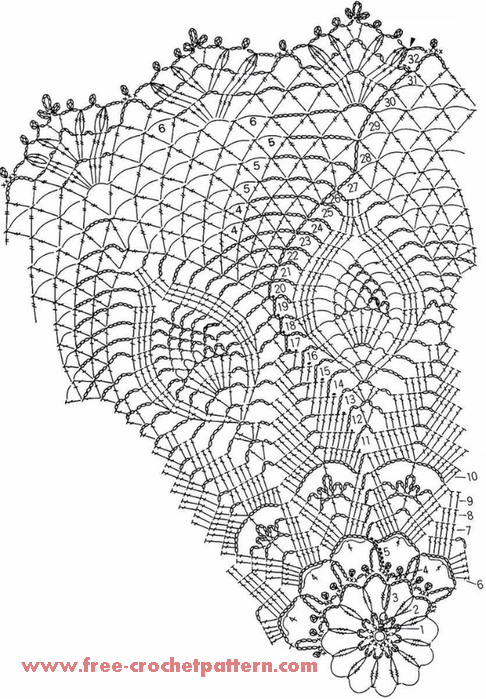 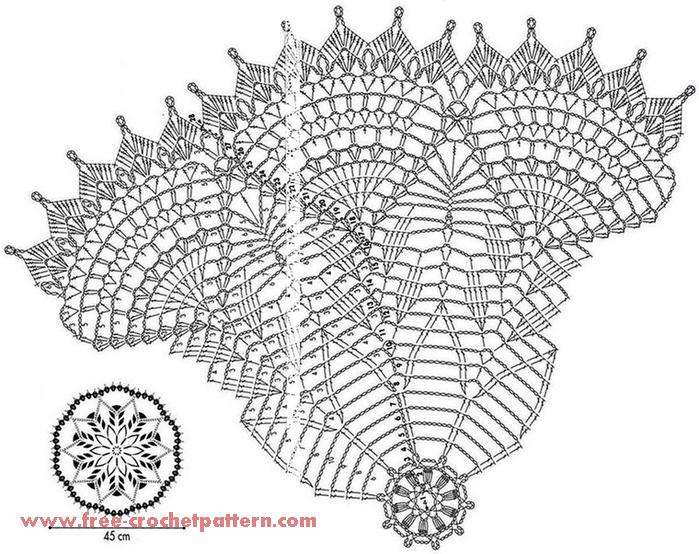 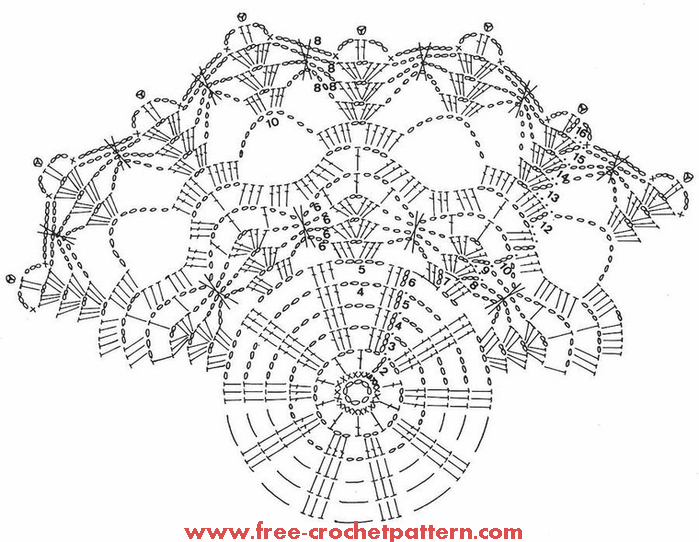 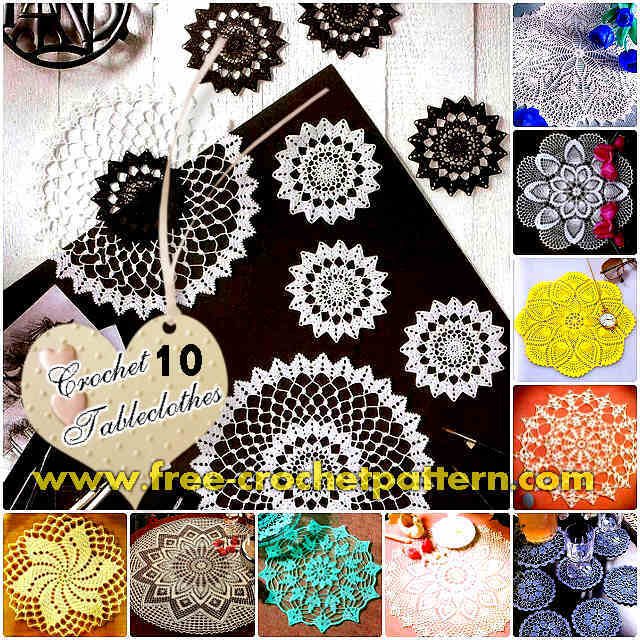 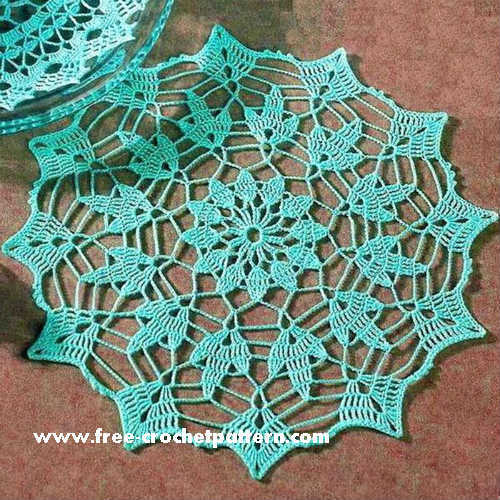 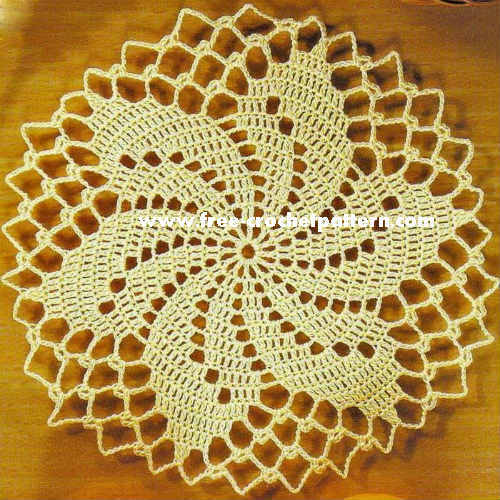 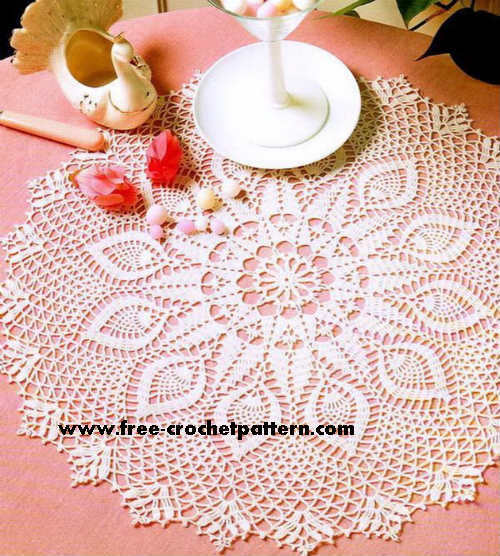 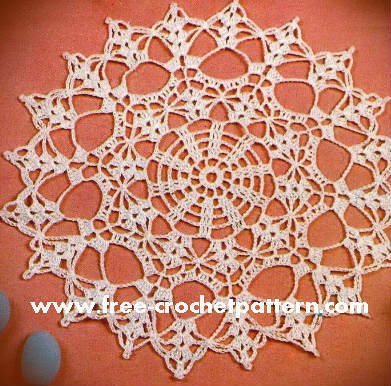 A doily is an ornamental mat usually made of cotton or linen thread, often crocheted. 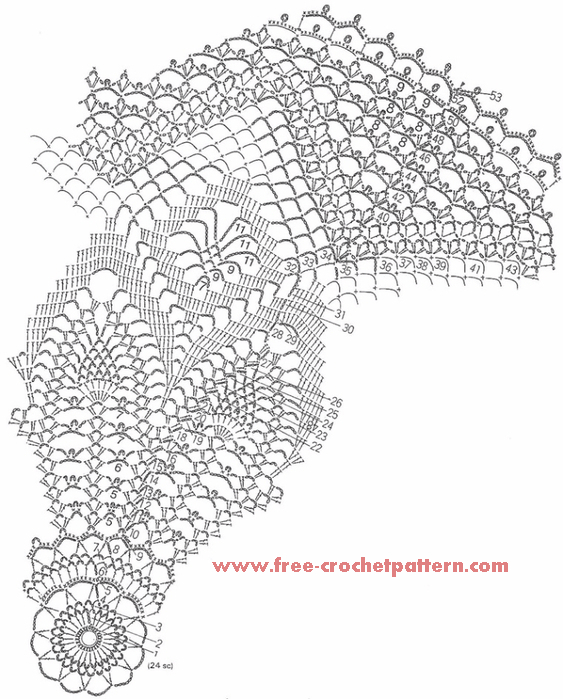 Openwork allows the underlying surface to show through. 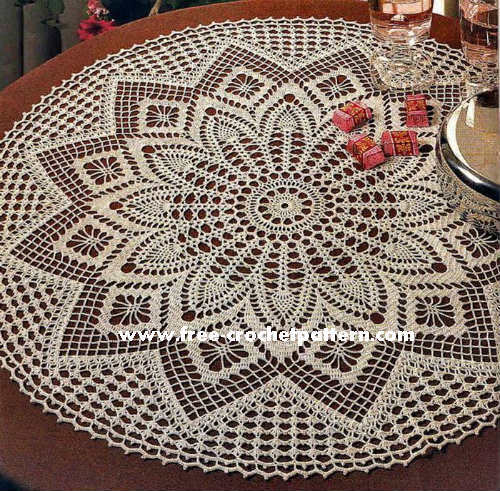 In addition to their decorative function, doilies have the utilitarian role of protecting fine-wood furniture from the scratches caused by crockery or decorative objects.